Well-defined radiolucent line within the structure in question (does not extend beyond the borders). This may present as one or two lines. 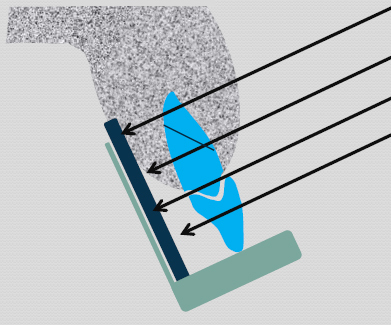 If the fracture appears as one line, the fracture plane is parallel with the direction of the x rays. 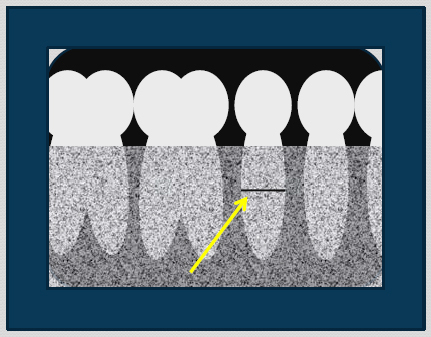 If the fracture appears as two lines, the fracture plane is not parallel with the direction of the x rays. The two lines will meet at the edge of the object in question. 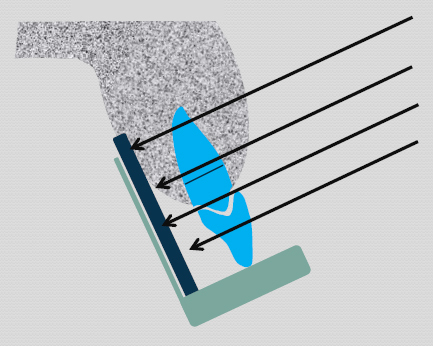 Diagram showing two lines (from ONE fracture). Note how the two lines meet at the edge of the root. 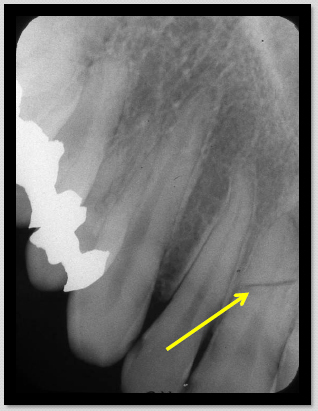 Radiograph showing two lines over root. 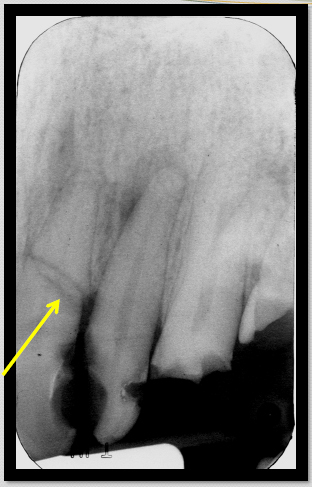 Note how the two lines meet at the edge of the root indicating a single fracture. A step in the outline of an object or occlusal plane. Discontinuity in the border of an object. 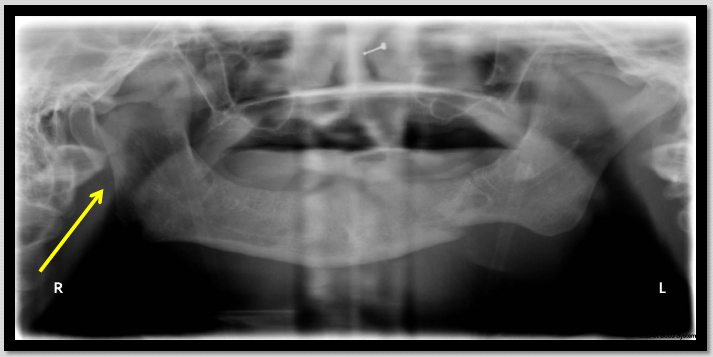 Pantomograph showing discontinuity of the posterior border of the right ramus of the mandible. Increased radiopacity of the object due to overlapping of two fragments. Pantomograph showing increased radiopacity due to overlapping segments in right ramus. Topics covered include for bone healing: fibrous scar, normal bone healing, remnant lamina dura, and sclerotic bone healing. Topics for fractures include coronal fractures, horizontal root fractures, vertical root fractures and mandibular fractures.